43I am not currently adding blogs to my list, as the ones listed are either ones I read regularly, or belong to friends. However, if your blog is about something you think I’d find interesting, go ahead and place a comment about it! One of my preferred episodic blogs with occasional editorial posts and news coverage. They have a handful of wonderful writers who are quick to respond to comments and questions. This is my go-to blog for anything anime + music, including soundtrack reviews, composer analysis, concert coverage, and so much more. I also did a guest post with zzeroparticle on the anime music we each used for our weddings. Anime Tree covers a bit of episodic blogging, favorite music of the week, and rare manga reviews from a small team of writers. Weekly music is posted pretty regularly on Wednesdays. Avvesione may not be as active of a blogger these days, but when he is, expect weekly reviews of currently airing anime as well as comprehensive season previews. I also never miss an opportunity to say hi to my fellow Washingtonian at Sakura-Con each year. I’ve been following Tangles since it was a team of one under Charles, and now that several writers have joined you can expect frequent discussions on anime with distinctly spiritual angles. I also appeared as a guest on one of their earlier podcast episodes if you’d like to listen! Deluscar mostly features anime editorials, as well as anime and game reviews, and various thoughts on Japanese culture. Draggle is a cut-throat anime reviewer of few words. No one else I know can summarize an entire show as quickly as he can with a single screenshot or sentence. No one else opposes my opinions as completely as he does; if he loves a show, I’ll likely hate it. If I love it, he deems it the worst series ever. Draggle also holds the honor of introducing me to my husband, KWoo. Fantastic Memes is the personal anime blog of Froggy-kun, whom you may know as a Crunchyroll writer or as a freelance Japanese-English translator. 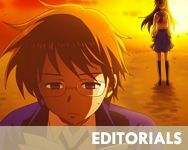 Most of the editorial posts center on anime, but do include manga, light novels, conventions, and Japanese culture. Figure Culture shares and reviews anime figures, focusing mainly on their Malaysian audience. I can always count on Emily’s blog to stir my heart with its thoughtful editorials. Many of her anime interests overlap with my own, and I heartily recommend following her if you are interested in flower language. As a former Crunchyroll writer, she also covers a wide range of genres and topics. Anime reviews, manga reviews, mecha Mondays, fanfiction, Day’s interests are all over the place, but always interesting. Isn’t It Electrifying hosts an impressive crew who doesn’t write nearly enough for the quality of discussion they command. You’ll get more frequent contact following them individually on Twitter, but do subscribe to the blog so you don’t miss out on the live and past shows that catch their attention. 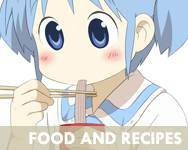 This is my one-stop blog for anime food recipes! Blue Variance almost always finds good eats with each airing season and writes up recipes that taste delicious and are easy to follow even for beginner chefs. Hi Marina, I’m making a blogroll now, want to trade links? I enjoy reading your blog here. Sure 🙂 You have a nice blog, and I like your recent entry on Dantalian no Shoka’s episode 3. I look forward to exchanging thoughts! also do you mind if i add you in MAL? Also about MAL, unless your name is the same on there, you’ll have to attach a message or something reminding me of where I know you from. I was wondering if you would like to trade links? Thanks and keep up the good work! Thanks for asking 🙂 I’ll take a look at your site and see what I think! I’ll take a look 🙂 Thanks for dropping by! Sure, I’d love to >< Thanks for asking, and I look forward to exchanging thoughts with you. Hello Marina. I like your blog immensely and would love to be your blogger friend. Sure! I’d love to exchange blog links 🙂 Thanks for stopping by, Canne, and Imma head over to your blog right now and read up! Sure thing 🙂 I look forward to getting to know you! Whoa! Cool sauce 🙂 Thanks, azeriraz! Your glorious blog makes me feel like I should work harder in fixing mine. I’ll go with the comment flow and ask if you want to trade links even though I am truly unworthy of it. Hey-o, ahelo! I would love to exchange links with you :3 I’m already a lurker on your blog and just need to work up the courage to actually comment! Would you be interested in exchanging blogroll links with me? Hey Nadav! I would love to exchange links with you. These carnival-like post projects always help me find interesting bloggers like yourself, which is why I enjoy participating in them. Thank you! I’ve added you to my blogroll as well and look forward to reading more from you. I am new at anime blogging. I decided to start one because I had some much to say and no one to say it to. I love your blog and its and inspiration like many others. Plz check mine out http://animelov.wordpress.com/ and do you want to exchange links? I really love your website, because everything fits so nicely and I also like your posts. Would love to chat with you soon! Heya Kuro! I’d love to exchange blog links with you 🙂 I love the clean and smooth look to your site and look forward to reading more of your thoughts! As much as I love music, I would rather not link my blog to any site with the sole purpose of hosting files like music, tv episodes, movies, etc. Please understand! Hey Marina, hope you are doing well! Heading out to Anime Expo again this year? Just wanted to mention that I’ve recently put up a complete redesign of my website. The domain hasn’t changed, but I noticed that the link in your blogroll points to my old WordPress.com blog. If you could please update the link to just http://hiroi-sekai.com, it’d be much appreciated! I also added you to our new affiliates page! I’ll be passing on AX this year in exchange for a 2-week Japan trip 🙂 I’m sad I won’t see everyone this year, but super excited to visit Japan for the first time. I am, however, going to Sakuracon (this weekend). Thanks for the update on your blog’s link; I’ll get that changed right away. Many thanks for changing the link as well! Thank you for stopping by 🙂 I’ll take a look at your site and leave some feedback! Hey Marina, just wanted to notify you that Daifuuku! has recently come out of hiatus. We’ve gone through a rebranding so we’re now Café Daifuuku. Anime B&B is still on our blogroll. However if you want to wait a month or so before removing the ‘hiatus’ that’s fine with us! Thanks for keeping us on your blogroll! Thanks for the heads up, Starbust! I went ahead and removed the hiatus marker and updated the title 🙂 I appreciate you keeping me on your blogroll! My blog The Reviewer’s Corner does anime, manga, and comic reviews and discussions. I could add you to my blog roll if you are interested if you add mine. I’ll take a look at your blog and see what I think! Thanks! I love your blog theme; Nichijou is a favorite of mine. I enjoyed your top 30 list, too- Ed & Ein are great characters- and I’d really appreciate it if you’d consider adding me to your blogroll. Thanks! My banners do change, but I have mostly Hakase-themed touches with my avatar and my Twitter. I keep meaning to update my Top 30 list since it’s constantly changing with each season. Hey! I started a new anime blog a few months ago, I would like to exchange blogrolls. It would be nice if you could take a look at my blog and let me know what u think. Just noticed this page here. Thanks for linking! I’ll take a look 😀 I’m not a big manga reader, but I do dabble occasionally and appreciate good recommendations from time to time. 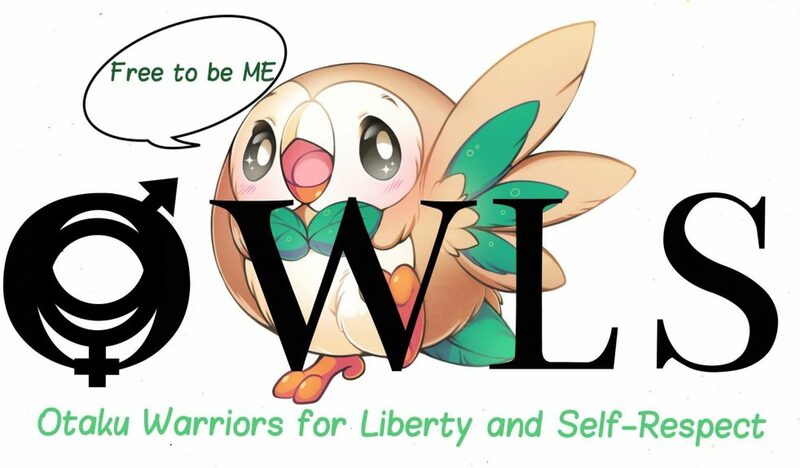 I created blog about light novel analysis and blogroll for exchanging link. I want to exchange link if you don’t mind. I see your blog is clean and update, that’s why I love your blog. Thanks for dropping by! I’m flattered you added me to your blogroll 🙂 I look forward to checking out your blog! Hey Marina, been a while! Just wanted to let you know, my domain’s changed to http://hiroisekai.com with a new redesign. Hoping you can update it on here! P.S. Don’t know if you’re coming to AX this year? Hey! Thanks for the update. And yes, I’ll be going to AX this year with my husband and another friend. If you’ll also be there, we should meet up!